Richter and Company is known as a “Family of Farms,” a trademark that developed through close, personal relationships with growers. Some have been with us since the company began, and we’re proud to serve as their exclusive sales agents. “Life’s a peach” is more than a slogan for the McLeods, who run massive orchards in McBee, South Carolina. Fourth-generation owner Kemp McLeod and his son, Spencer, grow peaches on land that has been in his family for a century. Nearly 30 varieties of peaches that the McLeods grow include Cary Mac, developed on the farm and named for McLeod’s grandfather. Although peaches are their No. 1 crop, McLeod Farms — voted South Carolina Farm of the Year in 2011 — doesn’t stop there. They have a sizeable business in corn, wheat, rye and soybeans and a retail store that is a favorite stop for folks headed to and from South Carolina’s beaches. They also grow strawberries, blueberries, red potatoes, cabbage, sweet corn, squash, onions, bell peppers, okra, tomatoes, peas, pumpkins, turnips, egg plants and other produce that’s sold at their roadside markets. Locals still visit the McLeods’ original store, a tiny building at the gate of the packing shed, but most people stop at the modern market a few miles away. Customers linger on the long porch, cooled by ceiling fans and lined with rocking chairs. Inside are peaches, of course, along with a gourmet meat market, baked goods, pickles, jams and preserves. 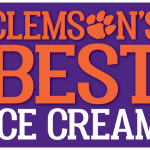 At the cafe, favorites include tomato sandwiches, peach cobbler and peach ice cream. There’s also Mac’s Pride Museum, which houses more than 20 antique cars from each decade since the horse and buggy, old-time tractors and farm implements that belonged to the first peach-growing McLeod —much different from the high-tech machines Kemp and company use now. Among them are drip irrigation, high-speed wind machines and hail crushers. Wind machines pull warmer air from the upper atmosphere down into the orchard, a process that raises ground-level temperatures to help save crops from devastating frost. In spring and early summer, hail prevention equipment generates high-frequency sound waves to crush hail before it batters crops — all this to deliver some of the world’s juiciest peaches, every one hand-pruned, hand-picked and hand-packed. Cotton Hope sits comfortably on “the Ridge,” near the tiny town of Monetta, South Carolina. It sounds like a landmark, but the Ridge is a huge slice of heaven on Earth, covering three counties and known for the peaches that grow there in juicy abundance. It’s South Carolina’s most famous peach-growing region, and it’s one of the most popular sources of the fruit worldwide. Peaches are said to be sweeter here. That may be because they grow where the Coastal Plains and its sandy soils meet the Piedmont clay, making the ground extra fertile. The land also slopes, which provides good drainage. Cotton Hope’s owners, cousins Tristan and Clark DuBose, have farmed peaches since they were kids. They are part of the magic of the Ridge. They can get peaches from tree to table in two days or less — almost as fresh as picking and eating them in the orchard. The cousins know the secret to growing a peach that requires a napkin to catch juice that drips from chin to elbow. Their peaches truly are the taste of summer. 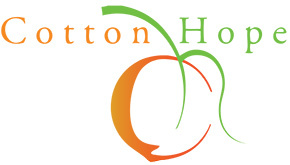 Cotton Hope officially opened in 2005, but the family partnership is decades strong. Tristan and Clark were born into farm families. Their fathers grew peaches. The cousins worked the orchards, fertilized, plowed, picked by hand and did whatever was required. After graduating together from Clemson University, both DuBoses continued to work with their fathers. Eventually they found their own independence but stayed within the family tradition. The DuBose family has grown peaches in Monetta and neighboring Ridge Spring for 75 years. Clark DuBose continued with peaches and was the original owner of the Titan Farm before selling it in 2002. Meanwhile, Tristan and his sons developed a loyal following from folks who appreciate the taste of a sweet Carolina peach. In 2005 the cousins decided to invest heavily in a new packing shed to better process and ship their peaches. Since then, they have become one of South Carolina’s top peach producers. Together, they grow 35 varieties each year, most of which are sold commercially. 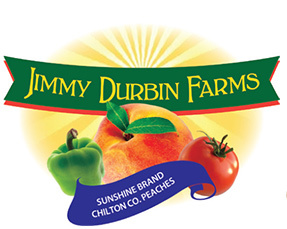 Jimmy Durbin Farms is known for its peaches, strawberries and bell peppers. On I-65 between Birmingham and Montgomery is an impressively large water tower shaped like a peach, probably because Chilton County is Alabama’s peach central. Along its rambling back roads, hand painted and homemade signs promise the chance to pick your own fruit, an experience that is both nostalgic and progressive. Grab a Sunshine Brand peach and a napkin. You can’t have one without the other. Chilton County farms produce everything from its famous peaches to a variety of berries, plums, figs and nectarines. 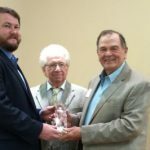 Whether they’re from the small, family-owned farms or the large operations, peaches are an important part of the agriculture industry’s role in the Alabama economy. They are Alabama’s leading commercial fruit, and the state ranks 18th in peach production in the United States. Most of those peaches came from Chilton County, which accounts for more than two-thirds of the state’s cultivation. And Jimmy Durbin and his Sunshine brand are smack dab in the thick of it. Most of his peaches travel from field to retail stores in 24 hours or less. The Durbin family has grown peaches in Chilton County since 1940, when Jimmy Durbin’s father started with two mules and hand labor. Decades later, hard work, honesty and a strong Christian faith have helped the family peach orchard grow to 500 acres and more than 60 employees, many who have been with the family 18 years or longer. During the Great Depression, George S. Orr Jr. helped his grandfather work a small fruit and berry farm west of Martinsburg, West Virginia, on the east side of North Mountain. Later, young George joined the U.S. Navy and traveled to California where he met his future wife, Juanita. With his military service over and missing his grandfather’s farm, George returned to West Virginia, bought a 60-acre orchard and went to work. By 1979, his orchard had grown to 350 acres. At his death in 1989 George Jr. bequeathed the family business to Juanita and their sons Mike, Mark and G.W. 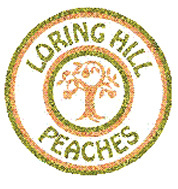 At the time George S. Orr and Sons, Inc, owned 1,100 acres and annually produced 500,000 bushels of fruit under the “My Three Sons” and “Lorring Hill Peaches” brands. In 1995, the family opened Orr’s Farm Market to serve the local community. They have since started a pick-your-own operation and regularly host agritourism events on their property. George Orr’s children and grandchildren continue to walk the agricultural path he cleared for them. Mike Orr, the eldest of the sons, manages the packaging facility, and Mark tends the orchards. Spouses and grandchildren work the farm, too, managing everything from accounting to customer service. Peaches have been part of the Chappell family for five generations, dating back to 1927. The year that James Chappell planted his first peaches in Candor, North Carolina, Calvin Coolidge was president; Charles Lindbergh flew from New York to Paris in a single-engine plane; Ford debuted the Model A; and the Yankees swept the Pirates in the World Series. Great-grandson Pat Chappell continues the family business from his home base in Kline, South Carolina, where he moved in 1952 and planted his first 100-acre orchard. The farm has since grown to 1,000 acres and sells mostly early-variety peaches — the first to be plucked from the tree, usually in mid-May but sometimes in late April if the stars align. Pat, the patriarch, a few years shy of 90, clocks in every morning at sunrise. Why? “I farm to live and live to farm,” he says. The matriarch, “Mrs. Phyllis” retired at 83 but still shows up with Sunday lunch for the family. Their son, Tommy, handles the picking operation; his brother, Bud, handles the packing; their sister, Lynne, oversees quality control; and sister-in-law, Sonia, coordinates local sales. But everybody — grandkids included — mans the grading line when peaches are in full production. Grandsons Patrick and Joseph also tend more than 4,000 acres of corn, wheat, soybeans and peanuts that the farm produces each year. Clearly, the Chappells love what they do, and it shows in quality, flavor and customer service. Generation Farms came to fruition when Cotton Wood Agriculture acquired Stanley Farms and Coggins Farms, two legendary produce families. The Stanleys bring to the table three generations of onion expertise. Their name is synonymous with Vidalia sweet onions and family farming in Vidalia, Georgia. R.T. Stanley began his agriculture career as a sharecropper in 1964 and eventually bought his own land. He grew his first five acres of sweet onions in 1975. Today, Stanley Farms, operated by the patriarch’s sons Tracey, Brian and Vince grows more than 1,000 acres of onions, including sweet Georgia reds. They also grow sweet potatoes. Now with both families on one team, Generation Farms is positioning itself as a catalyst for industry change, and part of its mission is to elevate food quality, safety and sustainability to best in class. With farmland now spread across Georgia and Florida, Generations also is positioning itself as the best alternative to West Coast produce, while holding to its promise to act as good stewards of the environment.